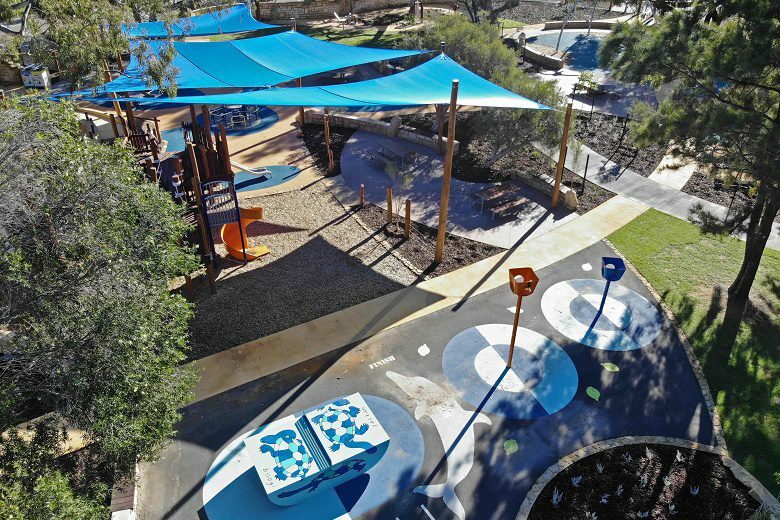 Western Australia’s City of Nedlands and Fiona Robbé Landscape Architects have won a national Kidsafe award for their Jo Wheatley All Abilities Play Space on Dalkeith’s Beaton Park. The biannual Kidsafe National Playspace Design Awards recognise excellence and innovation in the provision of safe, creative playspaces across Australia. 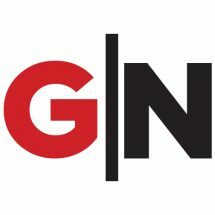 The awards highlight communities working with educators and designers in creating play environments in public spaces, as well as schools and education and care services. Judges assess entries on the basis of innovative design, commitment to safe play environments, community and culture, inclusive playspace design, shade elements, sustainability and successful outcomes. 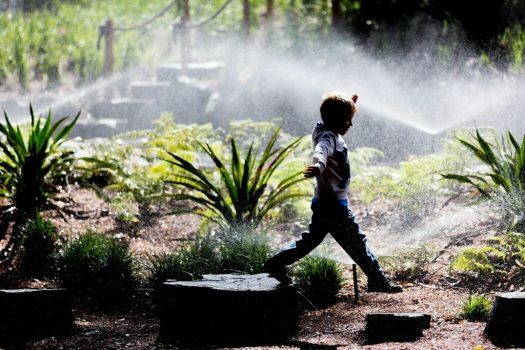 The Nedlands project took out the category for large-scale playspaces worth more than $1 million. 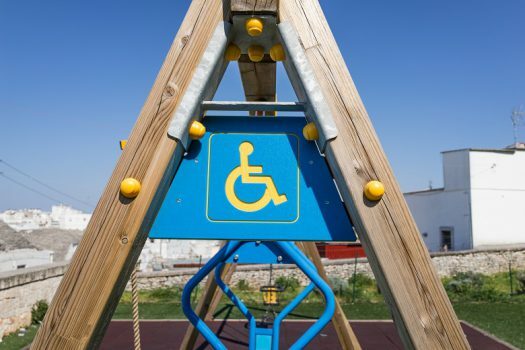 “The state-of-the-art playground – the first of its kind on this scale in Western Australia – has attracted people from all over Perth with modern, high-quality play equipment that has been purpose-designed for people of all ages and people with disability,” he said. The project began with a community partnership initiated by Rotary seven years ago and grew with the Rotary clubs of Nedlands, Subiaco and West Perth raising funds to construct the facility, supported by a Lotterywest grant. “The City of Nedlands responded by providing the site and peripheral infrastructure,” said Cr Hipkins. Perth-based not-for-profit COLAB found built environment professionals to provide pro bono service while Wood and Grieve Engineers donated services, he said. Project partners also included the Department of Communities – Disability Services, Inclusion WA and professional infrastructure and environmental services company Cardno. 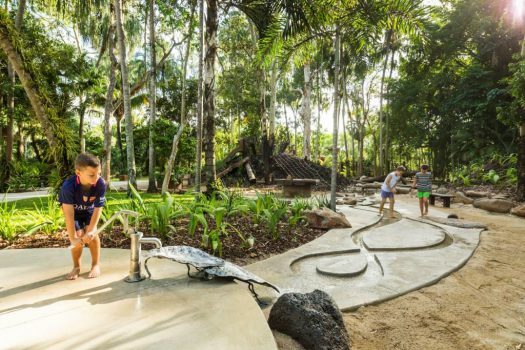 Features include a sensory walkway and flying fox. Covering 10,000m², the facility was built around and under existing trees and was designed by landscape architect Fiona Robbé, who is part of an international group developing standards for inclusive playgrounds. 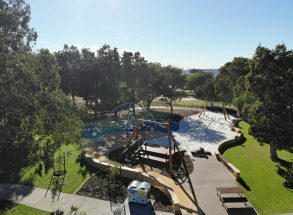 Features include a sensory walkway, flying fox, active climbing, decks and slide, active swinging and accessible picnic areas. There is also a community garden and kitchen, an informal sports and games area, exercise equipment, sand and water play areas. The Jo Wheatley All Abilities Playspace was also a finalist at the 2018 Australian Sport, Recreation and Play Industry Awards in the playgrounds category. The facility was named after major sponsors Vern and Jo Wheatley. 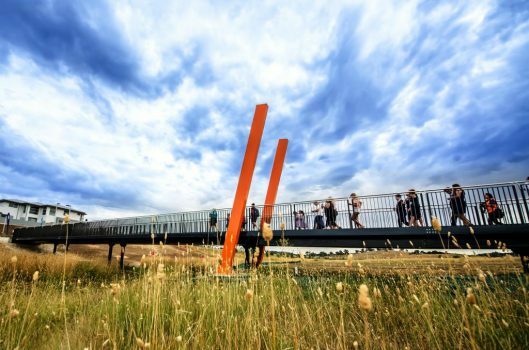 “It’s wonderful when a project that so many people put their heart and soul into achieves the recognition it deserves, a testament to their dedication and hard work,” Cr Hipkins said.